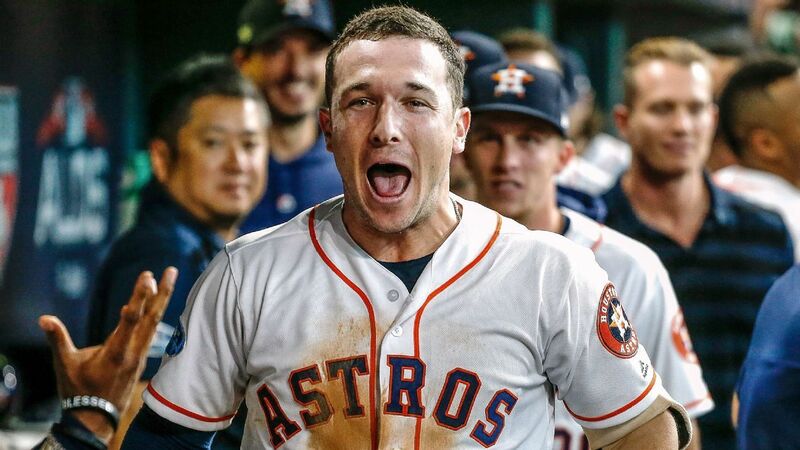 The All-Star third baseman for the Houston Astros had a breakout season at the plate in 2018, hitting 31 home runs and finishing fifth in the American League MVP voting, while also having a breakout season on social media. He’s one of the few stars in baseball who seems to want the spotlight on him and now he’s stirring things up a bit with the Boston Red Sox, the team that eliminated the Astros in the ALCS. “After watching the Patriots win and with the Red Sox beating us last year, there’s no other city that I would like to beat more this year than Boston,” he said recently on the “Going Deep with Chad and JT” podcast featuring Chad Kroeger and JT Parr. OK, that’s hardly NBA-level smack talk, but it’s bold enough in baseball circles to make the rounds and Red Sox manager Alex Cora was asked about it on Wednesday. He laughed. “That’s my guy, so I’m not going to react to that one,” Cora said. Cora and Bregman became close when Cora served as the Astros’ bench coach in 2017. Last September, the two made a little wager when Cora’s University of Miami Hurricanes played Bregman’s LSU Tigers in football. If LSU won, Cora would have to wear a jersey of LSU baseball legend Warren Morris. If Miami won, Bregman would have to wear a The U turnover chain in batting practice at Fenway Park. LSU won the game and Cora had to wear the Morris jersey. Still, maybe there’s hope for an Astros-Red Sox rivalry to take off and get some real heat going. Don’t forget that during the ALCS, Bregman posted a video on Instagram of the Astros hitting back-to-back-to-back home runs off Nathan Eovaldi from earlier in the season, when Eovaldi was with the Rays. Bregman took the video down, and Eovaldi allowed two runs in six innings in his start in Game 3, an 8-2 Red Sox victory. “We do our talking on the field,” Red Sox first baseman Steve Pearce said after the game. Beyond that, the teams have met in the postseason the past two years, they’re the past two World Series champs, and last year’s ALCS also featured the sign-stealing controversy when an Astros employee was spotted in the camera well at Fenway Park, reportedly aiming a camera into the Red Sox dugout. Cleveland.com also reported that during the ALDS, the Indians filed a complaint with MLB about the Astros trying to film their dugout. “I don’t like the implication that we were doing something that they were checking on when they were actually … the ones who created a false credential, or asked for a credential, of somebody that’s not supposed to have one,” Dombrowski said at the time.